I just got out of the hospital. I am learning not to advertise much of my life on social media, but we all still need to reach out for help. If any one knows me very good, they know I love watches. Here is a bit of my collection. I love swatches the most, but there is a Gucci in there somewhere. This entry was posted in Blogging, media, More Health, more healthcare, more photography, More Politics, Uncategorized and tagged facebook, health, life, medical care, Social Media, Surgery, VA care, Veterans, Wordpress on March 8, 2017 by alesiablogs. Writing Tip: Be comfortable blogger while you writing. The blogging world is like going to the movies. Some blogs are masterpieces. Others are full of such intelligent writing they bring pure joy. Occasionally there may be the dud. However my heart can be so glad for the reading experience dud or not because I am alive and learning. Bloggers and their words can be absorbing. What does it take to be such a great blogger? Blogger if you are serious the first step is to stay in the game. Allow yourself to be taken away in your writing to make your dreams of authorship become reality. Make your writing a part of you so it becomes a memory forever that you have. Bloggers and their words are important. The audience should not be taken for granted. Never is it good for writing to be like nails on a chalkboard. Perhaps that means in the seclusion of your home while you are writing, a newness and a freshness must be envisioned. Do not be afraid to share your heart. Opening yourself and telling your experiences is cathartic and possibly may be exactly what your reader needs. Bloggers and their words are powerful. This entry was posted in Blogging, critique, Culture, Discovery, media, More Blogging, More Commentary, more social media, Promoting your blog, Writing and tagged blogging, community, Culture, discovery, media, More Writing, writing on April 5, 2013 by alesiablogs. 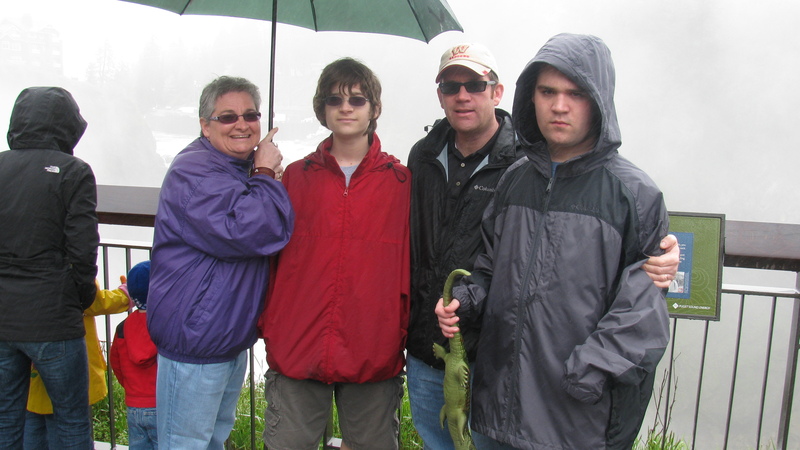 Your blogger and her family thinking in the rain about my next blog post! Information is the cornerstone of life. We sometimes take it for granted. The necessity of information flowing seamlessly is sometimes lost as we go about our lives organizing and processing all the data that comes our way. For myself I enjoy original insights. I am into learning something new and unusual. I get tired of the same old thing. There is nothing so cool as the innovation of information as we discover a new book or a new way of doing something. In fact the element of surprise is always exciting as we are discovering fresh information. Perhaps that is why I gravitate to blogs. Blogging brings originality to a whole new level. Typically the blogger is alone ( in my case) pondering her information to share and then putting it out there for others to enjoy. No one is making the blogger change her words. She is writing with a hipness she can call all her own. Blogging has brought me new friends. For that I am grateful. I usually take my Mondays to read new material from many of you and ponder your thought processes. It is cool to be in your life-like this. The computer lifts me up and takes me on a rocket ride into each and every one of your homes. Bring it on I say. 1. Think about ways I can reflect on my life through what I learn from you all. It may mean wrapping my mind around things I have never thought about before and even to the point of changing my point of view because I have learned something new. 2. Pay attention to what someone is saying. It is important to listen and show you are intentional. There is nothing worse than someone taking you for granted. 4. Be at Peace and love what you are doing and read blogs that are good and what you want to read about. For your own writing–write what your passion is about. Life is too short to not. Take it from me. I have survived cancer and I am here to tell my story, but I am also hear to read yours. It is what drives me and motivates me to no end. 5. Last but not least is I PRAY for you guys as I PRAY for my close friends I know God has put in my life. This entry was posted in Advice Tips, Blogging, media, More Acceptance, More Blogging, More Commentary, More Dp Challenge, Promoting your blog, Writing and tagged blogging, community, discovery, media, More Writing, Promoting your blog, purpose, writing on April 3, 2013 by alesiablogs. And YES. 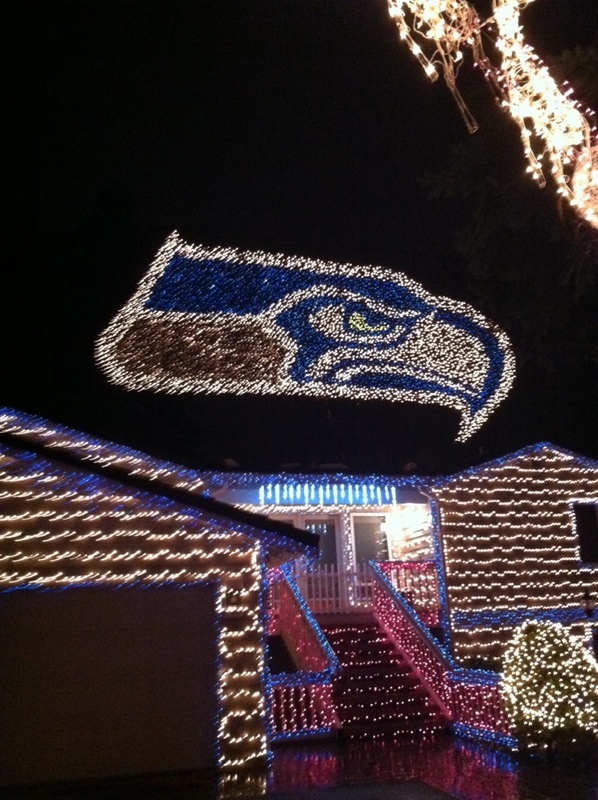 I am a Seattle Seahawk FAN! Driving around and checking out Christmas Lights tonight! In April of this year, I had the pleasure of visiting Long Beach, Long Island, NY. It was for a reunion with an old Army Buddy from my Desert Storm Days. WE had not seen each other for almost 25 years. It was a great feeling to see my friend and to her delight she could not wait for me to see her beautiful town that she resided in called Long Beach. She took such pride in showing me around and giving me the “grand tour” of the area. Neither of us thought that only 6 months later, the whole area would be devastated by Hurricane Sandy. Please enjoy these photos from my Panasonic DMC-ZR1. May God Grant You Peace As You View My Photos Knowing God Repairs and Heals The Broken Hearted. This entry was posted in Hurricane Sandy, Long Beach, Long Island, media, more media, more photography, New York, Photo Essay, Photography and tagged community, imagination, media, More Media, More Photo Essay, Nature, outdoors, Photo Essay, Photography on December 18, 2012 by alesiablogs.